Where did the sub-continental teams barring India go wrong? The case of South Africa and Australia - were their exits fair? When Afghanistan signed off on the ICC World Twenty20, they did it with a song in their hearts and a dance on their feet. 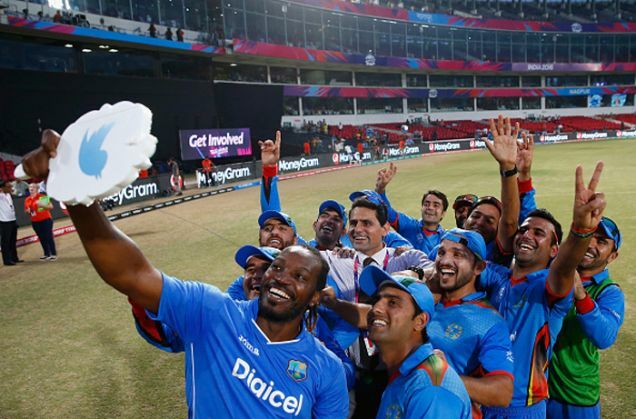 A dance orchestrated by Dwayne Bravo and encouraged by Chris Gayle. Just after the Afghans had beaten the West Indies. Doesn't sound like an upset, does it? Or rather, Gayle didn't look particularly upset. Every tournament, at whatever level, is always that much more interesting when a weaker team trips up one of the favourites. It doesn't happen often, but then, it wouldn't be an upset if it did, would it? By that count, the 2016 World T20 has been a disappointment. The format was a little skewed to begin with, with Bangladesh ranked below Afghanistan, and having to play the qualifiers. There too, nothing really happened, as these two sides made it into the Super 10, as anticipated. But that was never really going to change. None of the other teams, barring possibly the Netherlands, ever had a real shout. Once the rain dampened Dutch courage, it was business as usual. Up came the main event and upsets were more imagined than real. Let's take the first match for India. Now, all and sundry decided that the defeat to New Zealand was a major upset. How could India, the superpower of cricket, lose to this little island in the middle of nowhere? Quite easily, as it turned out. They didn't really think New Zealand would be a challenge and did not prepare for it. The Kiwis, on the other hand, read and reacted to the conditions and opposition perfectly. The result was there for all to see. Anyhow, where does it count as an upset? New Zealand played the final of the 50-over World Cup last year. India didn't. In this tournament too, the Kiwis topped the group with an all-win record. So where's the upset? 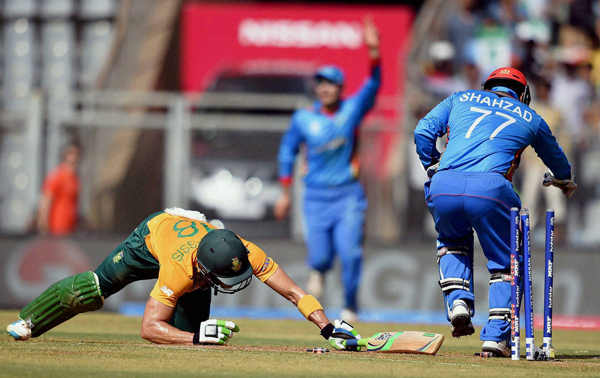 The real upset, if any, was the fact that none of the sub-continent teams, barring India, stood up to be counted. Bangladesh had come into the tournament seemingly red hot, keen on an upset. They had, after all, done the deed on all continental rivals in the recent past, and were out to prove that they were the real stuff. In the end, they went home with their tails firmly between their legs. Pakistan were in for another one for the 'Mauka' series - to beat India, after losing to them in all ICC tournaments, with the scoreline reading 10/10 since 1992. That seemed to be their campaign plan. Beat India, never mind the rest. The results were predictable. Sri Lanka were a couple of Angelo Mathews blows away from survival, but the sum of their efforts just wasn't good enough. Those would certainly upset the teams and their supporters, mostly in Bangladesh and Pakistan. But in real terms, it was as per original estimates. Then we have South Africa. But it's never a real surprise if they fail. That's par for the course for them. There was a time when people used to be surprised when South Africa didn't qualify, or even win tournaments. Those days are long gone. So when they failed to defend a record score against England, even that wasn't considered an upset. It was just too, well, South Africa. Australia went down to India, and though they would have thought, especially after the first five overs of their innings, that they had a fair shout to win that one and then take on the West Indies in Mumbai. But they were just blown away. They can't really take issue with that. Very few sides would have survived what was definitely a top 10 assault on the target by Virat Kohli. In any case, the Australians didn't look too convincing. They went down to New Zealand without much ado, and though they did enough to get past Pakistan and Bangladesh, truth be told, neither said was really a challenge for anyone. So essentially, the two real contests they had, the Aussies lost. Goes on to prove that winning the 50-over World Cup isn't quite the same thing as the T20s. Much derision and pooh-poohing Down Under notwithstanding, Australian pride was hurt. But they didn't really upset the applecart. There are many who consider the West Indies' entry into the semi-finals an upset. That has more to do with their general lack of snarling teeth and grit that is the trademark of sub-continental cricket. They are the chill boys: their reggae swings and latest dance moves bely some real steel. Sure, they lost to Afghanistan. That is, by the sheer numbers, an upset. But the fact is that they could still dance and smile - ample proof that they know when to chill. It didn't make any difference to the points table, since they topped anyway. There were no sleepless nights there. England are where they deserve to be, though they were just a couple of overs away from disaster against Afghanistan, and few centimetres from elimination against Sri Lanka. But this is cricket. It changes in millimetres and six balls. I'm beginning to think England will be the team to watch. Sure, the gloating and crowing will be insufferable if they were to win. But it still wouldn't be an upset. It would be safe to assume that New Zealand would have preferred to play anyone but England in the knockout stage. That too on a stamp-sized ground like the Ferozeshah Kotla. The Kiwis have a little edge in terms of the spin department, but that is negated by England's decidedly better pace battery. That one will be decided by whose bowlers manage to keep their nerves, line and variety in control. But there will be fireworks, for sure. That leaves India, who have lived and died with Kohli's performances. The bowling has been up to the mark, but not the rest of the batting. But there's no doubt that they, too, are deserving semi-finalists, for they got the job done when it counted. 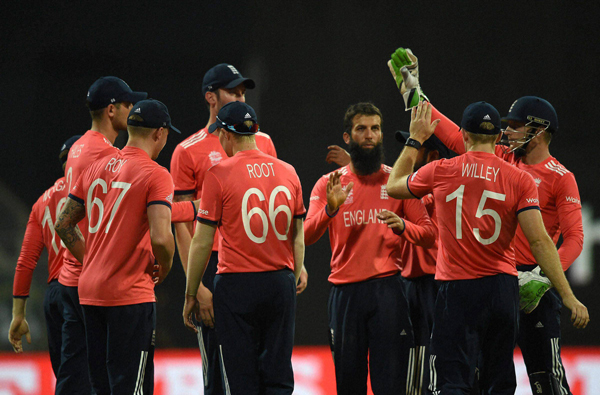 It may not have been the most exciting World Twenty20, nor the most surprising. But the form teams have made it through to the semi-finals, and whoever wins will be a deserving winner.